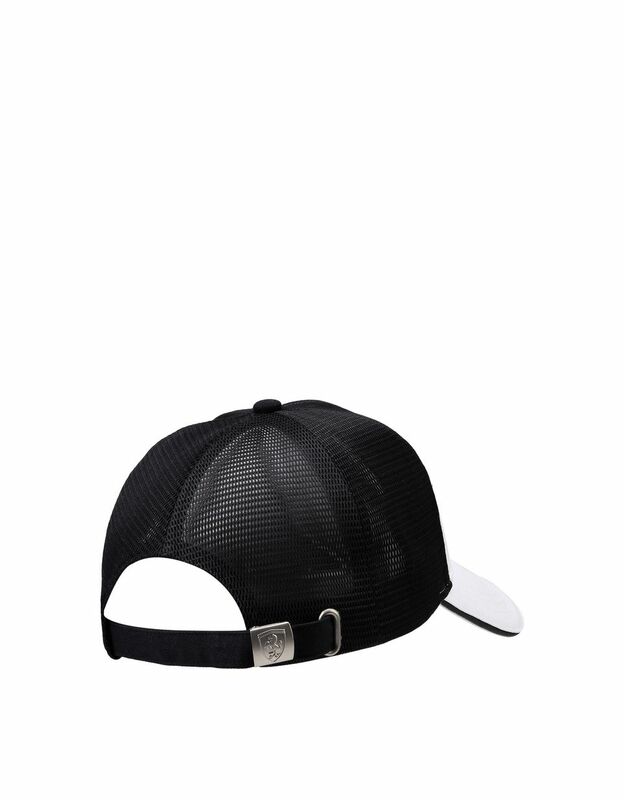 This Scuderia Ferrari cap, made of perforated technical fabric, features a motif of contrasting colors. 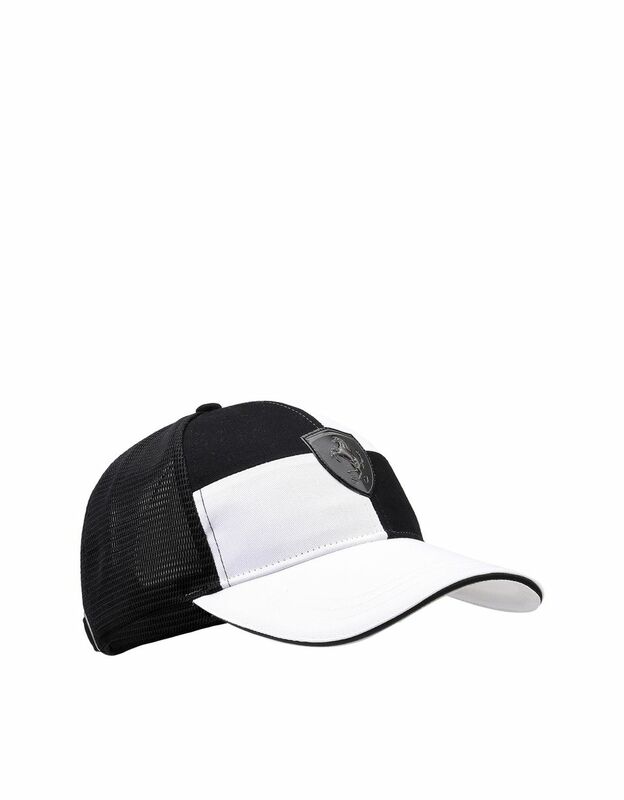 To wear in your free time with a casual outfit, the Scuderia Ferrari cap expresses a passion for speed: the checkered pattern on the front, in contrast with the perforated fabric on the back, resembles the flag of the Formula 1 races. 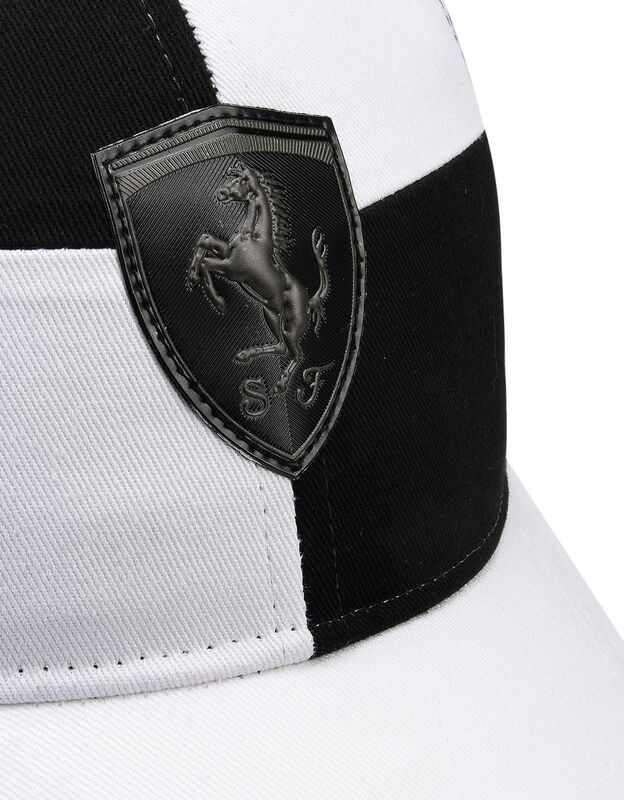 The faux leather piping stands out on the visor, while the large gray Shield with red border dominates the front of this Scuderia Ferrari cap with a sporty and metropolitan spirit.